FORT BENNING, Ga. (June 18, 2018) -- Imagine a Fort Benning where you can get your work order status, property book information, schedule an ID card appointment and monitor post traffic conditions all at the tip of your finger. As part of Installation Management Command's (IMCOM) Smart and Resilient Installations initiatives, better data integration will enable better interoffice and inter-directorate operations and make accessing garrison services simpler for Soldiers and Families. "IMCOM is continually looking for ways to operate more efficiently with less resources to support Army readiness," said Col. Clinton W. Cox, Fort Benning garrison commander. "The intent of this initiative is to improve mission effectiveness with limited resources by utilizing existing data and sensor information and automating processes to realize savings and efficiency gains at installations." This initiative is the first of its kind for the Army and the outcomes from the actions and analysis have the potential to impact Army installations worldwide. Today's Army installation managers are responsible for maintaining the readiness of their installations as power projection platforms. As such, they must make difficult resourcing decisions with little or no visibility into how those decisions will impact other business functions. They have no holistic way to optimize installations operations or mitigate the risks created through their decisions. To lay the beginnings of a foundation, the garrison hosted an Installations of the Future planning charrette June 11 through 15. Organizations across the post participated to discuss priorities, solutions and ideas for potential capabilities. This charrette is one part of the initiative. Tiffani Migliore, the garrison information management officer, talked about a new tool to integrate data from across the garrison to better allocate resources. "We are developing a dashboard -- an integrated resource management tool," said Migliore. "This will allow us to use big data across multiple domains for decision making, to optimize monitoring and control of resources, and to provide real-time response to a dynamic environment." • Reduced life cycle costs through predictive analytics and optimized time to invest. Currently, local information systems and programs of record are unrelated and do not use common data or communicate with each other. Installation business lines are isolated and do not consider their impacts on other functions or on overall installation readiness. This effort will follow a systems approach to develop an integrated installation computational model, according to Migliore. This will fuse data from existing systems and programs of record to capture management and business processes. The dashboard will integrate and support synthesis and reporting across business processes. Once complete, this system will allow installation managers Army-wide to holistically optimize operations to support readiness by exploring a number of operational decisions and select the outcome that maximizes efficiency. Additionally, it will minimize scarce resource use and reduce overall costs, while providing visibility of all associated risks as a result of decisions. 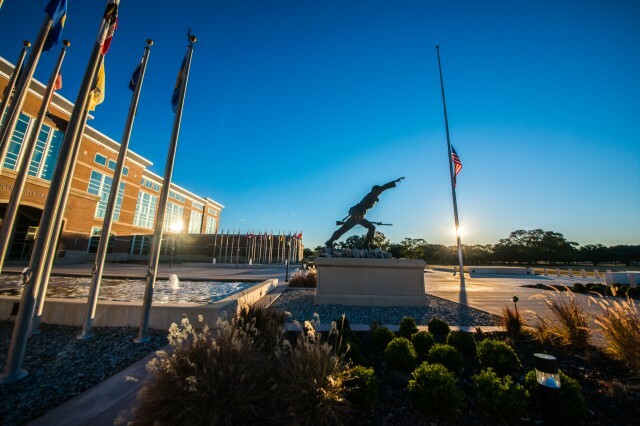 The effort, according to Cox, is to create an environment that integrates data from all systems that support activities at Fort Benning, which will provide better scenario analysis, enterprise-wide decision support and risk awareness. "The dashboard will have analytical capabilities that make sense out of massive datasets and complex processes related to installation management," said Cox. "This will allow us to be more effective and efficient."